Happy Valentine’s Day! I hope everyone’s day is filled with love, joy, and happiness. Indulge in a few treats too! Have some dark chocolate, red wine, strawberries, or chocolate covered strawberries. FYI, if you’re going to create your own chocolate covered strawberries, here is a helpful hint from Heidi. While the chocolate is melting, add 1-2 tablespoons of olive oil. This will help the chocolate adhere evenly to the strawberries and then form the nice hard chocolate coating. Yummy! Did you notice that these are all good for your brain as well as your heart? What a perfect combination for Valentine’s Day! 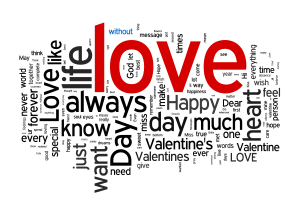 How about some anagrams for Valentine’s Day? Anagrams are just one great way to exercise your brain and get those neurons firing! You can compete against yourself, with a group, or against others. Whichever you prefer, it really doesn’t matter as long as you work that brain. I have a cup of dark roasted coffee, so prepare a cup of green tea, coffee, or hot cocoa with a healthy snack such as spiced or plain walnuts, almonds, dark chocolate, dark chocolate covered almonds-yummy, apple slices with cinnamon, strawberries, or blueberries and let’s exercise our brains. Remember, anagrams are a great brain exercise as they target problem solving skills, reasoning skills, thought organization, thought flexibility, judgment, and executive function skills. Anagrams are fun for everyone-teens, baby boomers, seniors. Anagrams are a fun brain building anti-aging activity to boost your brain cells, help form new neural pathways, and build your cognitive reserve. Try these anagrams as a family activity or part of a family game night, compete against friends or office co-workers and see who can find the most. Enjoy, laugh, have fun-it’s good for all of us! Did you know that a healthy heart helps us maintain a healthy mind and brain? Amazing, isn’t it? Here are your anagrams. How many new words can be formed? Share your lists with us and let’s see who can generate the most words! Posted on February 14, 2011, in Ageing, Aging, Alzheimer's, Alzheimer's Disease, Anti Alzheimer's, Anti Alzheimer's Disease, anti-aging, baby boomer, Baby Boomer Activities, baby boomers, Baby Boomers Activities, Brain, brain challenges, brain fitness, Brain Food, Brain Foods, brain games, brain health, Brain Maintenance, Brain Plasticity, brain teasers, brain training, breathing, breathing techniques, Build Brain Power, cognition, cognitive health, cognitive reserve, cognitive skills development, cognitive training, Dementia, executive function, executive functions, exercise, FAMILY ACTIVITIES, FAMILY GAMES, Games, grey matter, health, health and wellness, Health benefits of spices, Healthy Aging, Healthy Eating, healthy heart, Healthy Living, Healthy spices, heart, Improve brain function, Improve Memory, Improve Thinking Skills, judgement, judgment, learning, lifelong learning, Longevity, memory, memory exercise, memory exercises, Memory Loss, memory training, mental exercise, Mental fitness, Mental Stimulation, mind challenges, mind fitness, mind games, neuroplasticity, Prevent Memory Loss, problem solving, processing speed, puzzles, reasoning, Sandwich Generation, Senior Activities, Senior Fitness, senior health, Spices, Spices for brain health, Spices to promote brain health, stress, Stress Management, Stress Reduction, stress relief, thought flexibility, THOUGHT FORMULATION, thought organization, Word Games, word play, Word Puzzles and tagged Ageing, Alzheimer's disease, Anagram, Anti Alzheimer's, Anti Alzheimer's Disease, anti-aging, Baby boomer, baby boomers, Blood pressure, brain fitness, brain health, brain plasticity, Chocolate, Cognition, cognitive reserve, Conditions and Diseases, dark chocolate, Dementia, executive function, Family activities, Family activity, Family Games, Fitness, Grey matter, health, health and wellness, healthy aging, Healthy diet, Heart disease, Hypertension, judgment, longevity, memory, Memory Loss, mental fitness, mental stimulation, Neurological Disorders, neuroplasticity, Olive oil, Omega-3 fatty acid, Physical exercise, Prevent Memory Loss, problem solving, Senior Fitness, senior health, Stress, Stress management, Types of chocolate, valentines day, Walnut, Word game, Word Games, word play, Word Puzzles, Wordplay. Bookmark the permalink. Leave a comment.